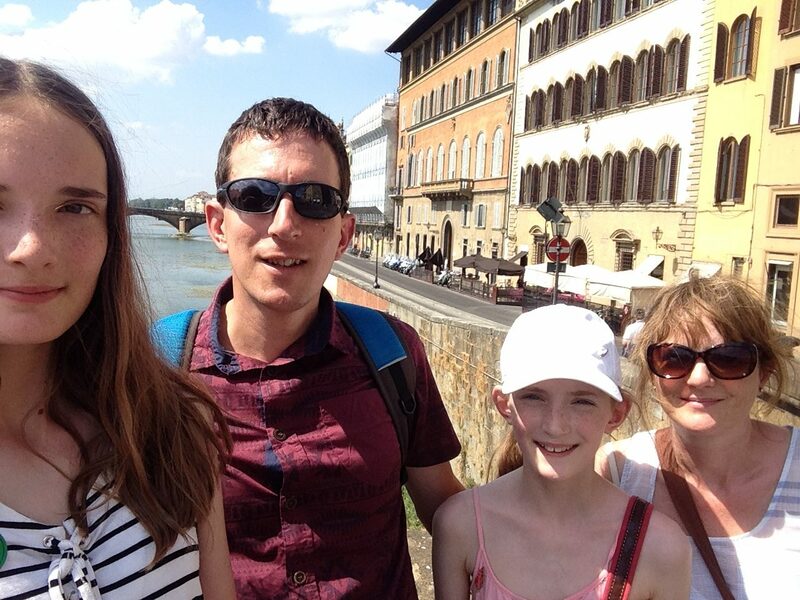 When Sophia was 12, she left school to become a young carer for her mother and grandmother. Tragically, both passed away when she was still just a teenager, and her mental health suffered as a result. 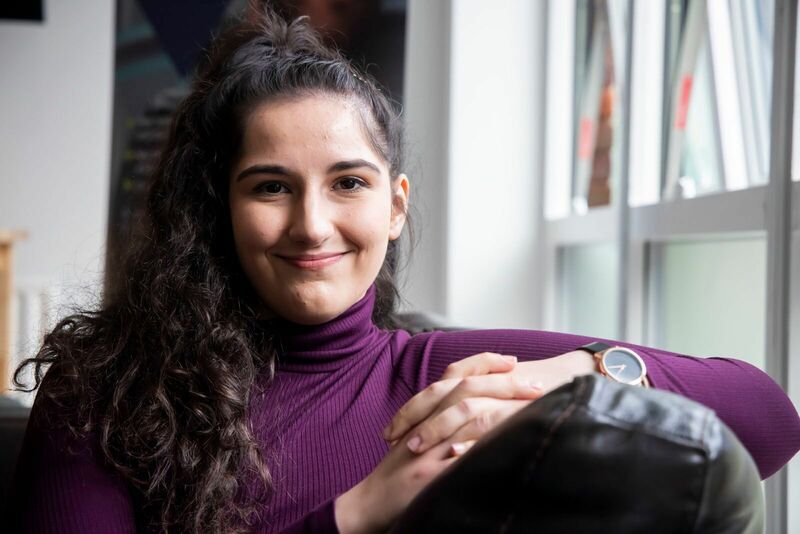 She then found YMCA and has gone from strength to strength – working on their Young Carers programme and using everything she’s been through to make a real and positive difference to other young people’s lives. We were lucky enough to meet Sophia at the YMCA when we brought The Duke of Sussex to talk with young people and the organisations that support them, about mental health, and she sat down with us to talk to us about her story. Thank you so much for taking the time to sit down with us, Sophia, and coming all the way to London from Swansea for the day! To start with, can you tell us a bit about how you got involved with YMCA? I first went to YMCA when I was seventeen. I was a home-school student taking care of my grandmother, so I didn’t have a very wide friendship group. I wanted something to do with my time, and I needed something to make me feel good about my life, so I started going to the gym at the YMCA. You mentioned that you were taking care of your grandmother – can you tell us about your experience as a young carer? Almost 10 years ago, I started caring for my mother, and then when she passed away, I started caring for my grandmother. Young carers are more in the spotlight now, which is such a good thing, but when I was young I was an ‘unidentified’ carer. I’d never heard the term ‘young carer’ – no one had ever said that to me. I didn’t know what the word meant, and I didn’t know that there was support available for me. As far as I was concerned, it was just me doing me – I was doing my job and living my life. In hindsight, I can see that it was really hard, but at the time I didn’t think of it like that. There were definitely days where you would feel really bad about things, but you learn to cope, and I didn’t feel that my life was so awful. I was just doing what I thought I should be doing. Do you think being a young carer had an impact on your mental health? I was in school until I was 12, which is when I started being home-schooled, and I can remember that even before that time, I would have terrible panic attacks. It was just absolutely awful. When I left school and became a young carer, I think my mental health was affected by a combination of things. My mother died of cancer when I was 13, and then my sister went to uni, so I was living with my grandmother and caring for her. I developed depression at this point, and I think it was partly in response to all these things compounding together. I struggled with an eating disorder at the time. I wanted control over things that I couldn’t control. I think the environment I was in made it impossible for me to manage my mental health. Now that I don’t have those same stresses, I can manage my mental health a lot better, but when those stresses do come back, I can still see that side of me. Tell us about your role at YMCA Swansea. You’re using your everything you’ve been through and everything you’ve learnt to help support other young people in similar situations through the ‘Young Carers’ project? Yes! So a young carer is somebody who looks after a family member with a mental or physical disability or illness. The ‘Young Carers’ project we run at the YMCA in Swansea works to give people aged between 8-18 respite from their caring role. They come to us for two hours every week and in that time, they don’t have to look after anybody – they can just be a child. If they want to do their homework, they can. If they want to talk about things that are worrying them, they can. We try to support them through any issue they’re facing – giving them access to gyms, talking to them about mental health and supporting them with homelessness issues. Young Carers are so selfless, they’re all such good human beings. It’s just so rewarding to be able to give them a chance to do something for themselves. They dedicated themselves to other people – all they do is care for others, so it’s nice for them to be spoiled and just get a chance to be children. It must be so valuable for them to have you there. Having someone they can look up to, who can relate to them and understand some of the things they’re going through must be so positive. Just the fact that I’m vulnerable with them makes them able to be vulnerable with me. There’s always so much going on in their lives, and sometimes they don’t even tell us about, but the Young Carers programme gives them a space to be children. They can take a break and they can feel that their lives aren’t about somebody else – even if it’s just for two hours a week. It sounds like an incredible project to be involved with, and you’re obviously making a real impact to these people’s lives. Today we’re all here at YMCA South Ealing with The Duke of Sussex to talk about all things young people’s mental health. How does that make you feel? It’s validating, but also so empowering to be a part of something so exciting. It’s so nice to see that people care about mental health and that there’s so much going on behind the scenes to campaign for change. And finally, if you had to give someone one piece of advice on their mental health, what would it be? As cliché as it is – talk to someone. It’s going to be a grind, there’s no beating about the bush, it’s going to be really hard, but if you accept that, you can rise up to it, rather than let it beat you down. 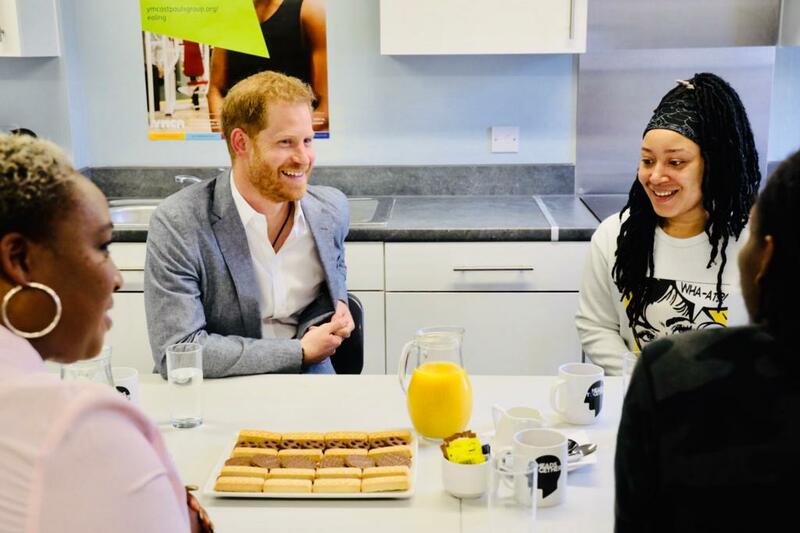 We met Sophia on 3rd April 2019, when The Duke of Sussex visited YMCA South Ealing to talk about the numerous, complex issues that young people are facing, and how they can effect our mental health. Sophia was part of a group of YMCA Mental Health Champions The Duke met during his visit.